1. I took inspiration from this recipe for blueberry turnovers and made these adorable heart-shaped pastries. I followed the directions of simmering blueberries with sugar and cornstarch for the filling (but I used frozen berries). I then took the rectangles of puff pastry and instead of folding them into triangles, I cut some as squares and some as hearts. 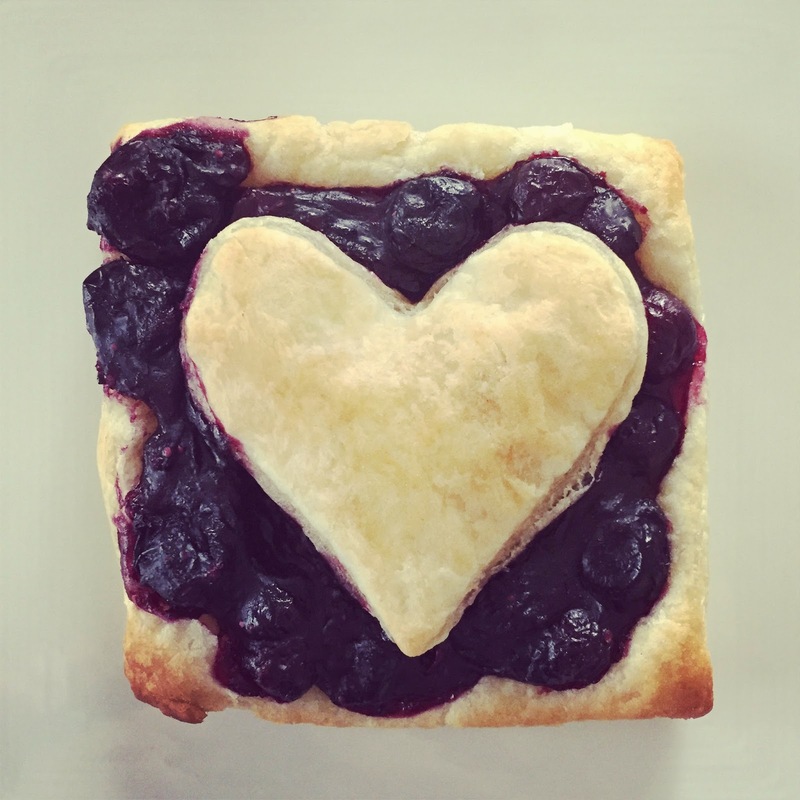 I piled the blueberry mixture on top of squares of puff pastry, topped with the hearts and baked, and voilà! A yummy breakfast (and snack, and dessert). 2. 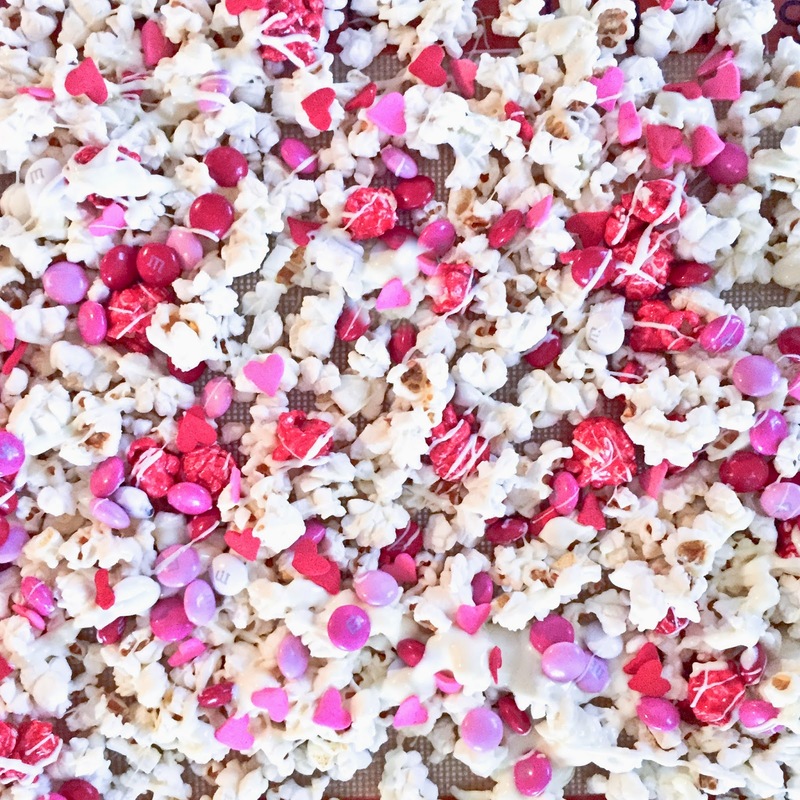 I loosely followed this recipe for festive popcorn and made a yummy valentine snack mix! I think it would be totally cute packaged up in mason jars for neighbors (because, you know, we live in the south now and I think taking valentine popcorn to your neighbors is the thing to do). 3. 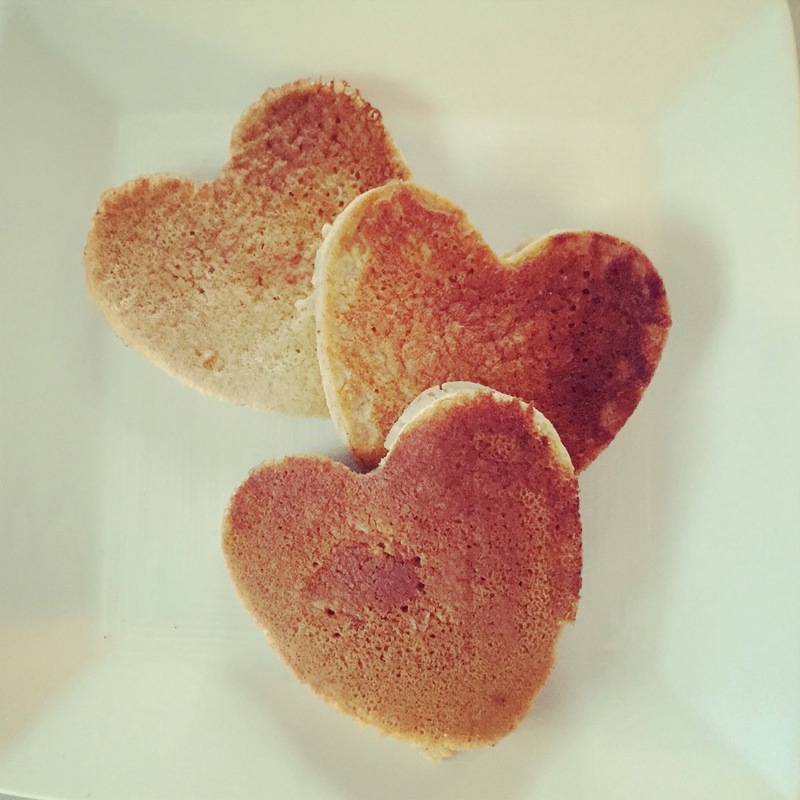 I have these heart pancake molds and put them to use baking multigrain heart pancakes, yum. 4. 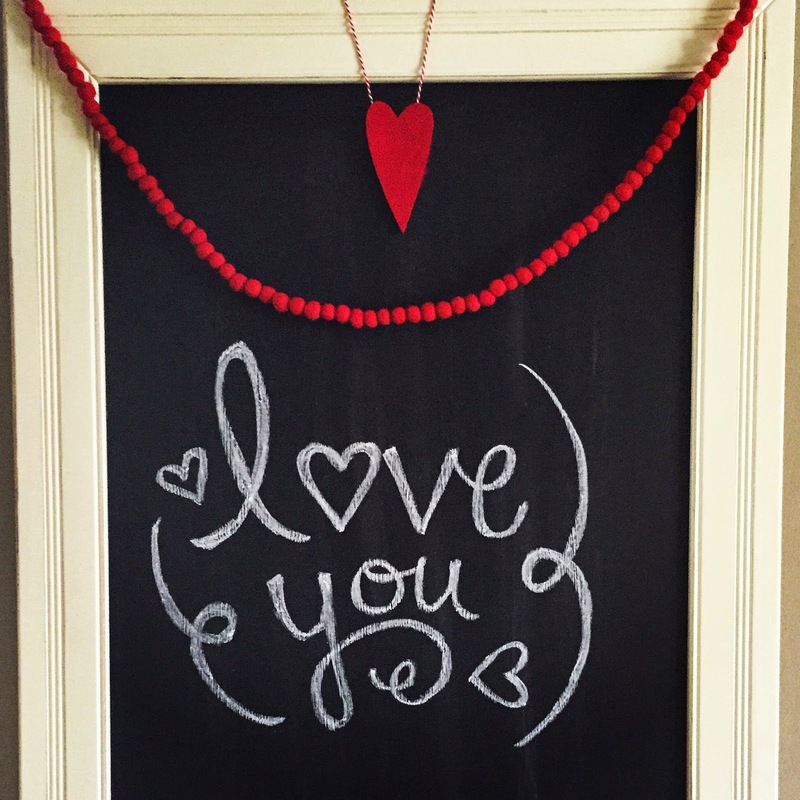 I have a major weakness for chalkboards (bordering on obsession - I think there is one in every room of our house) so I had to start in on the festive chalkboard making. 5. I convinced husby to participate in a love themed photo shoot of little man in the backyard. 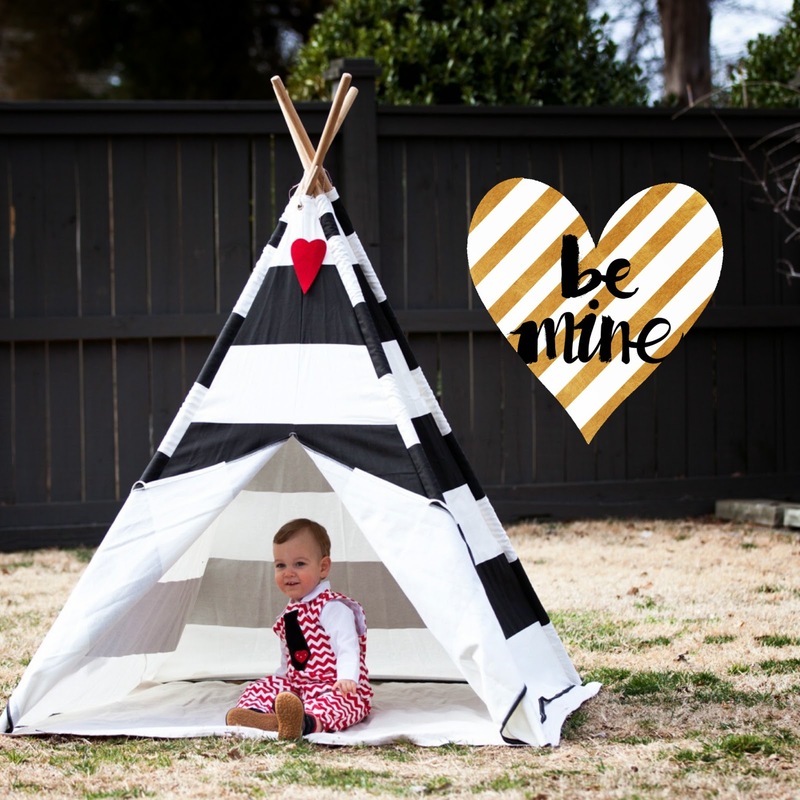 It was a beautiful day and husby even set up Parker's teepee for a festive flair. I was responsible for running back and forth and getting little beeper to smile, and Max snapped all the photos. How are you celebrating the month of love?? Lots of yummy food. Ellie just discovered popcorn (read it was the only thing at one of the nanny houses for the kids to eat) and loves it. I think making a festive batch is on the cards for this week!! And those clothes you put little man in are so sweet. 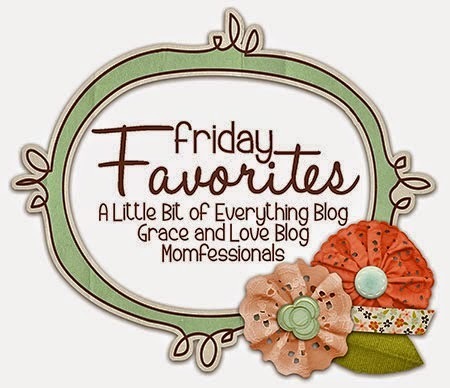 Where on earth do you find them!?! !